Google's Android is rapidly turning out to be most sought after platform for many upcoming mobile phones. Every large mobile company has or are launching the cell phones on Android platform. So with increasing user base, the demand for apps that work on Android platform is surely going to increase. Through this article we look at AndroLib, an online free and paid directory for Android applications, games and tools. AndroLib is online boiling pot for all kind of tools, apps, libraries, games on Android platform. You may search or browse through already abailable twitter, facebook apps, ringtone tools, action, arcade and puzzle, chess games, weather and news tools, feed readers, etc. 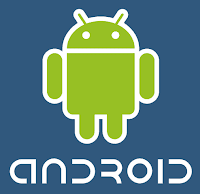 AndroLib is one of the huge online library of Android tools. A certain destination for every Android fan to power pack his phone with latest and heaviest apps available.